I was appalled to read the article “What Does the American Studies Association’s Israel Boycott Mean for Academic Freedom?” in the The Nation online. Michelle Goldberg erroneously attributes to me a position against academic freedom and for the boycott from an article I wrote in 2006. In fact, if anyone were to consult that piece in Radical Philosophy, it would clearly be seen that at the time I did not support the cultural and academic boycott of Israel, and that the position attributed to me was one that I was characterizing for the purposes of explicitly disagreeing with that view. This is shabby journalism, and it points to the high level of irresponsible accusation that has marked the effort to demean the American Studies Association’s principled and courageous stand. 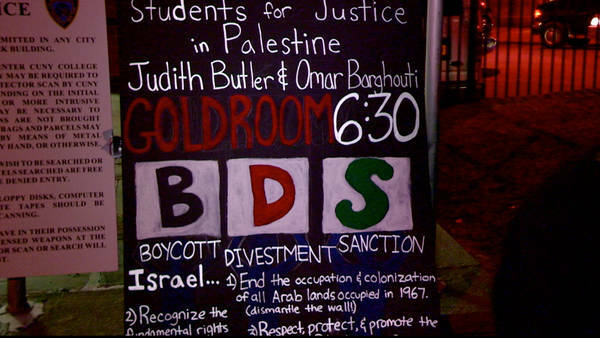 I believe that the only version of BDS that can be defended is one that is compatible with principles of academic freedom. That is my published view, and it has remained the same throughout my concern with this issue (I began to support the boycott in 2009). I believe Michelle Goldberg should retract this article or offer a public apology. Although I was not involved in the American Studies Association debates, I believe that the association should really be widely commended for soliciting and supporting such an open public debate. It was a clear step forward in fostering debate and discussion on such an important issue, very different than the speak out at UC Berkeley a few years ago that erupted in name-calling and physical attacks. So already, it seems to me, that it means something quite remarkable, namely, that voicing a viewpoint on this topic has become something that is worth hearing and debating, that there are reasonable views on several sides, and that many people are now in the process of figuring out what they think, what they wish, what aspirations are most important to them and how best to realize those goals. This new emergence of debate surely confirms the principle of academic freedom and militates against the spirit of censorship and the practice of calumny that would cut off debate and engage in debased caricatures. Those who may well acknowledge the justice of such claims may still object to the boycott on the grounds that it denies, potentially or actually, the academic freedom of Israeli citizens. 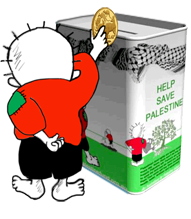 But the BDS movement has taken an explicit stand against any discrimination on the basis of citizenship. And a significant number of Israeli academics have themselves joined the movement. 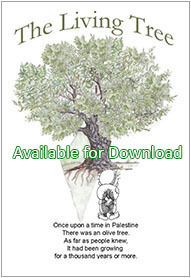 Despite the irony that those living under occupation are themselves deprived rights of citizenship, the Palestinian leadership of PACBI (the academic and cultural boycott) still underscore in unequivocal language that discrimination on the basis of citizenship is unjustified and will have no place in the movement. When the claim is made, as it surely has been repeatedly and consistently, that BDS targets institutions and not individuals, that communicates clearly that any Israeli, Jewish or not, is free to come to a conference, to submit his or her work to a journal and to enter into any form of scholarly exchange. The only request that is being made is that no institutional funding from Israeli institutions be used for the purposes of those activities. Concretely, that means that US or other institutions can offer to pay for an Israeli citizen who usually relies on institutional support from his or her own country, that non-profit organizations can be solicited to cover travel costs, as they would for others who do not have the means to come to conferences, or that Israelis might pay from their own personal funds, as some already have elected to do. It also means that when Israeli scholars invite those of us who support the boycott to Israeli institutions, we decline, explaining that until those institutions minimally take a public stand against the occupation, we cannot come and support that silence, that status quo. The astonishing fact remains that no major Israeli university or cultural institution has actively opposed the occupation. That said, American Studies scholars can continue important collaborative work with Israeli filmmakers, sociologists, philosophers, archaeologists, or artists outside of Israel. Indeed, their access to independent funding and to international mobility is still substantial. Sadly, the same cannot be said about Palestinian academics whose travel papers and rights to mobility are currently severely restricted by law. So though it is an inconvenience for those Israeli scholars who cannot use institutional funding, it is also (a) much more possible for them to find independent funding, and (b) it gives them a chance to address their own institutions and relay the news that as long as universities and other cultural organizations refuse minimally to oppose the occupation, they will all come under enormous international pressure from the boycott movement. Indeed, according to the terms of the boycott, as soon as a cultural organization or university explicitly affirms its opposition to the occupation, it is no longer subject to the boycott. A new alliance between Israeli institutions and Palestinians can then become possible once they join together to dispute the legitimacy of continuing colonial rule. Some people argue that the boycott cuts ties, but that what is needed is to build ties. But this formulation fails to realize that the ties the boycott movement builds are ones of solidarity in a struggle against damaged rights, occupation, and dispossession, and it is these sorts of ties, not the ones that maintain the status quo, that are most important at this time. The upshot is this: if major professional organizations and major universities endorse BDS, even if only one part of the platform, the pressure on Israeli cultural and academic institutions to take a stand against the occupation is increased. The Israeli state may well be compelled to see that the international objection to the continuing colonization of Palestine and its own manifest abrogation of international laws and norms, is no longer sustainable. Indeed, it is sustainable as long as academic, public, cultural, economic, and political institutions either turn the other way or actively support the status quo. It is the support of US institutions in particular that has allowed this status quo to remain in place. The American Studies Association has sought to decide what its public responsibility should be, and other major professional organizations should follow suit. Let us remember that academic freedom can only be exercised if there is a freedom to speak about political views, to articulate and defend the views we have, but also if there is a freedom to travel, not just from university to university as US academics are used to doing, but also from one’s home to the university. An enormous number of Palestinian university students are put in jail under conditions of indefinite detention because of having espoused political views that are considered unacceptable or because such views were attributed to them without cause. During periods of heightened security control, the periodic shutdowns of Palestinian universities have made it nearly impossible to complete a full semester for most Palestinian students. The delays at the checkpoint that can last between 4 and 12 hours mean that students cannot make it to class, and those Palestinian universities which are not sustained by NGOs have deteriorating infrastructures that make the exercise of academic freedom sometimes quite impossible. Academic freedom can only be exercised when the material conditions for exercising those rights are secured, which means that infrastructural rights are part of academic freedom itself. Otherwise, we imagine a being who can move as she or he wishes, who can go to any conference, or make it to class on time, who has access to books or computers. 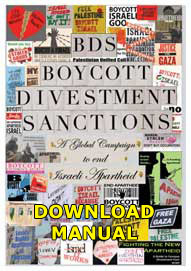 So given that no Israeli will be discriminated against on the basis of citizenship, and that increasing numbers of Palestinians might well enjoy academic freedom for the first time if the occupation is brought to an end, we can safely conclude that the principle of academic freedom will be more substantially realized through the support of BDS than by opposing it. Lastly, I want to say that already within the last two years I have seen how individuals and groups have emerged from their state of mute fear and anxiety into a tentative desire to talk. It seems to me that ASA has helped to make this issue more discussable rather than less. Professional academic associations have a responsibility to engage in public life in thoughtful and principled ways. I commend the American Studies Association for its courage and for assuming the public responsibility to defend equality, justice and freedom. Goldberg responds: In the original version of this piece, I mistakenly attributed Omar Barghouti’s words about academic freedom to Judith Butler. I came across the quote in Judith Butler’s journal article “Israel/Palestine and the Paradoxes of Academic Freedom.” In the original, from Radical Philosophy, Barghouti’s words are clearly set off to indicate that they are, in fact a quotation. In the version I read, at the European Graduation School website, that formatting is absent, making them seem as if Butler authored them. I regret the error and sincerely apologize to Butler.